Even with no manufacturing in Australia, Holden still has a role. Even though we never technically received any in the United States, a handful of Holden vehicles did make their way to the US badged as the Pontiac GTO, Pontiac G8, and Chevrolet SS. But before we could truly get a full taste of what General Motors' Australian brand had to offer, it ceased production in 2017. 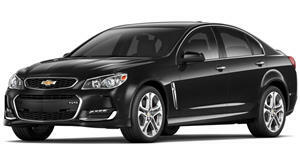 Holden has been reduced to an importation company, which brings in rebadged GM products like the Chevy Equinox. With such a reduced role, rumors have emerged predicting the brand's demise. In a confidential meeting with dealers, Holden boss, Dave Buttner, said it was "absolutely no way, not happening” the rumors were "pure scuttlebutt." The rumors speculated that UK-based importer Inchcape would take over importation duties for Holden, rendering the latter practically unnecessary. According to CarAdvice, Buttner said to his dealers, "I’m looking directly at you. Believe me, it’s not going to happen. There is no plan [to change distribution]. I did not join the company to close Holden." GM backed Buttner by saying, it is "fully focused on building a strong Holden for the future, as it remains an important part of GM’s business.” Inchcape was slightly less dismissive of the rumors by stating, "we are always assessing a range of opportunities and initiatives in support of our Ignite strategy." Holden will clearly never be the mecha for rear-wheel-drive performance sedans, wagons, and utes it once was but the storied brand isn't going anywhere.